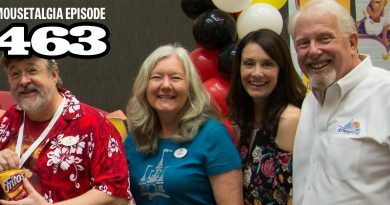 Mousetalgia welcomes Retlaw employee and Disneyland train conductor David Wilcox to this week’s show to talk about working for the railroad back in the days of the Disneyland D coupons. David shares the secrets of the train team regarding keeping guests safe; his responsibilities and experiences; falling off the train; and three-hour lines for the steam train going all the way back to the entrance gates. We also discuss coupon book hijinks, Grad Night shenanigans, and more. Also – in honor of the Summer Games, we welcome former Olympian and Gold Medalist Ryan Millar to the show to talk Disneyland hotels, and we offer Disney suggestions for the new hotel announced for the resort. 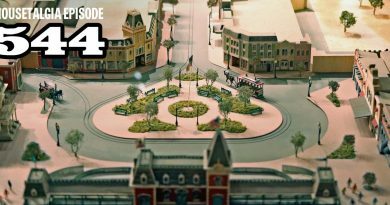 Plus – Kristen reviews “All Aboard: The Wonderful World of Disney Trains,” and we dream about bringing back our favorite extinct Disneyland television shows.